Here are a couple of new release nemesias: ‘Blueberry Ripple’ (top photo) and ‘Raspberry and Cream’. 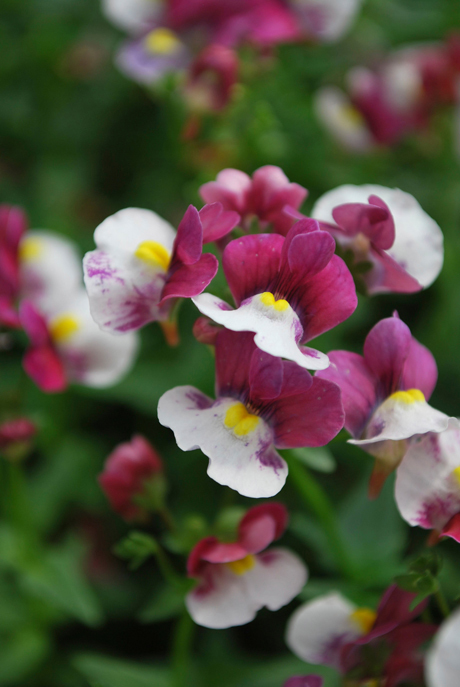 They’re both part of the Berries Delight series, a group of nemesias that has been bred for its compact habit and large flowers over a long period. They are quite exquisite, aren’t they? Their flowering period peaks in late winter and early spring so you’ll find them in garden centres now. 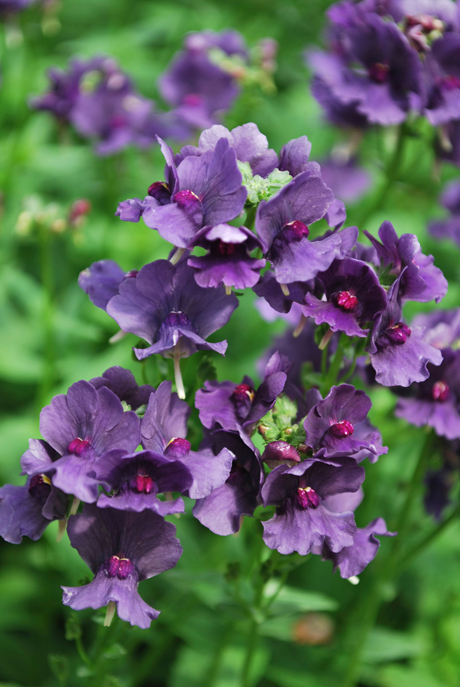 Plant them in rich, organic, well-drained soil in full sun or part shade. From the Living Fashion range. 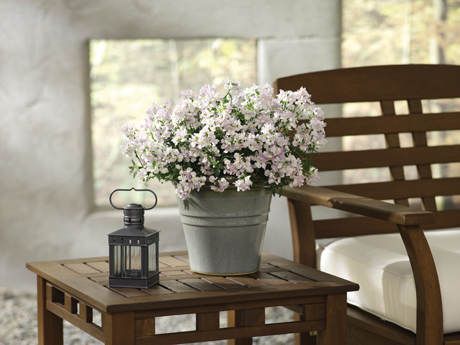 Nemesias grow best in the cooler weather, typically thriving in autumn and spring. But in warmer areas they’re also found in garden centres during winter. Buy a plant or sow seeds for a spring showing. Sow in trays and place in a warm, sheltered spot until big enough to pot on. Nemesias make excellent container plants. Egmont Seeds has a selection to choose from. 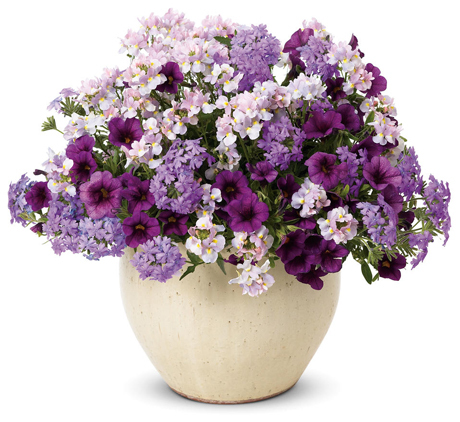 This photo, which includes calibrachoa (deep purple), verbena (lilac) and nemesia (soft pink), is from Proven Winners.